Trauma is held in the body. We can't talk ourselves out of it. It is a process of rediscovering our bodies, and learning to tap into our inner tools or resources to regulate. 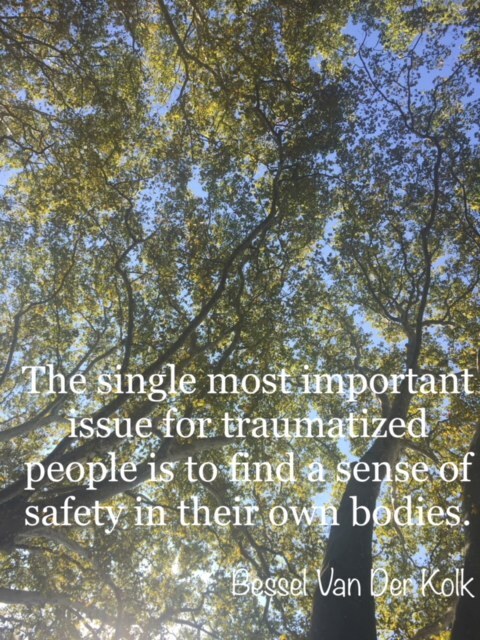 In a private Trauma informed session, you are guided to feel a sense of safety in your body, and learn what movements and practices feel good for you. It is a guided process of self-discovery and acceptance. For more info or to schedule, fill out the form below.